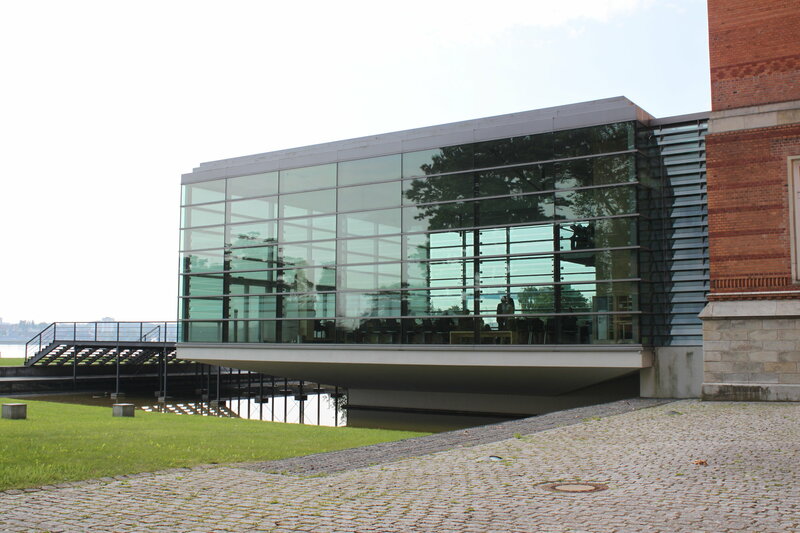 Since 1950, Schleswig-Holstein’s state parliament has met right on the Kieler Förde inlet, in an attractive building that was built in 1888 as the German Imperial Naval Academy. This historic complex in Germany’s northernmost state is still called the “Landeshaus” (state house) and features an assembly hall facing the water. The glass extension was completed in March 2003. Its architecture underlines the public nature of the building and the associated transparency of parliamentary work. The state constitution states that: “Elected by the voting-age population, the State Parliament is the highest body for the formation of the people’s political will”. Accordingly, the words spoken here are extremely important, and must be heard clearly no matter what. 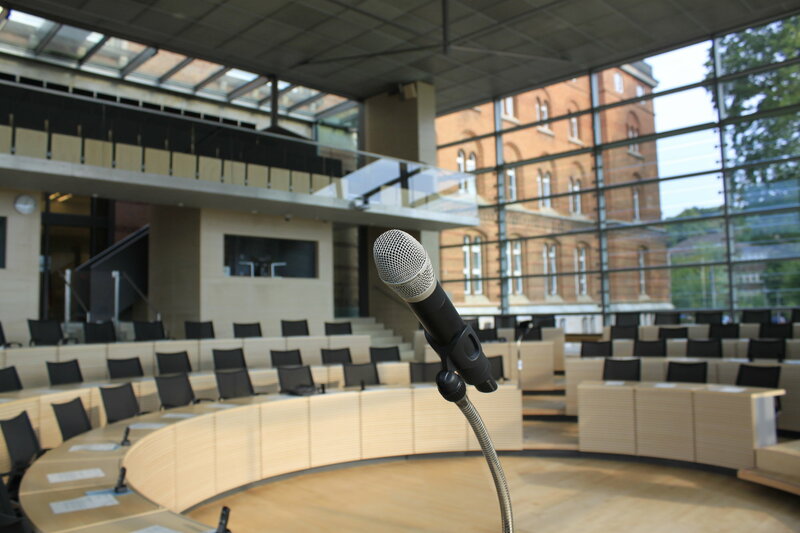 Since August 2013, digital TG 1000 wireless systems from beyerdynamic have been used in all the relevant rooms in Schleswig-Holstein’s parliamentary building to meet these demanding electroacoustic requirements and ensure perfect speech transmission. 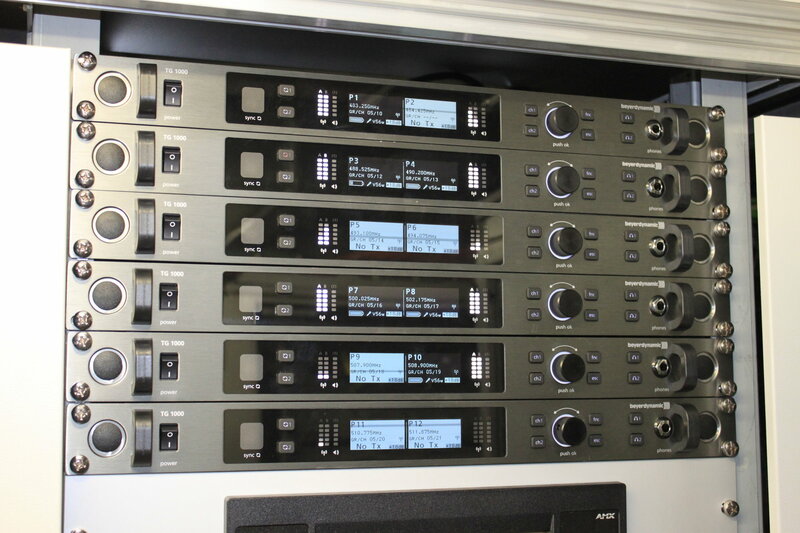 DEKOM AG, a Hamburg-based company with ample experience in media technology, installed a total of 28 transmission systems, with 20 handheld transmitters and 8 beltpack transmitters. The newly installed wireless systems are completely compatible with one another, and the central frequency management allows convenient monitoring and operation of the 28 transmission systems used throughout the building. Encryption can also be used to prevent the systems from being bugged – a feature that, for obvious reasons, is particularly important in this specific location. 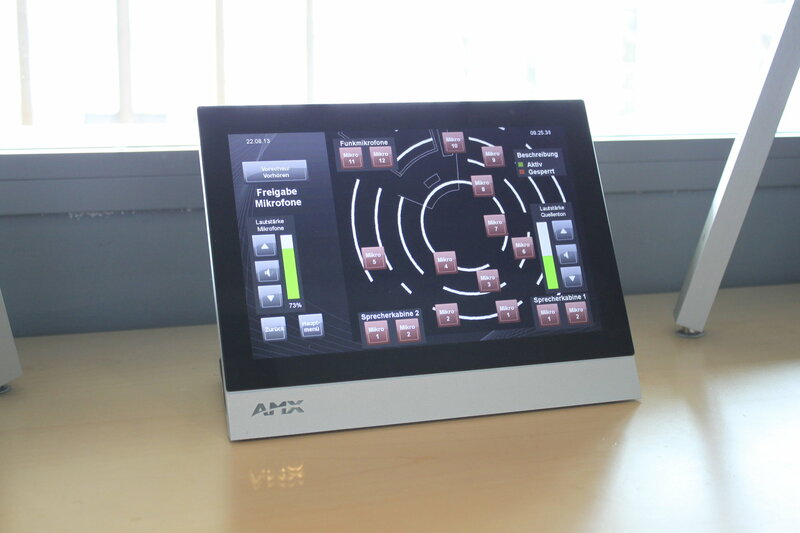 One of the advantages of the digital TG 1000 systems is the option of integrating a media control system as necessary. 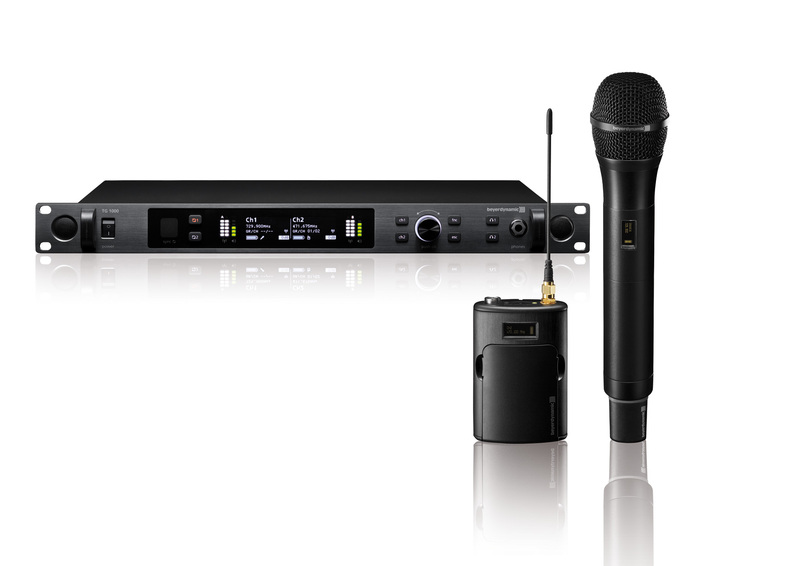 The type of transmitter (the handheld or beltpack version) and the microphone heads installed on the handheld transmitter are automatically detected – a media control system programmed for this purpose can activate a suitable preset for level and sound correction in the subsequent DSPs as soon as a transmitter is switched on. In Kiel, the TG 1000 system from beyerdynamic, the audio specialists from Heilbronn, Germany, particularly impressed users with its high frequency range that covers 319 MHz of the UHF spectrum. Measurements show that, in theory, up to 123 transmission channels could be used at once without intermodulation on the TG 1000 system in the Landeshaus. A total of 147 transmission channels are available, but they can’t always be used because of DVB-T broadcasts. The Federal Network Agency in Bremen recently approved 40 frequencies for the Landeshaus on which the 28 newly installed transmission systems can be operated without interference. 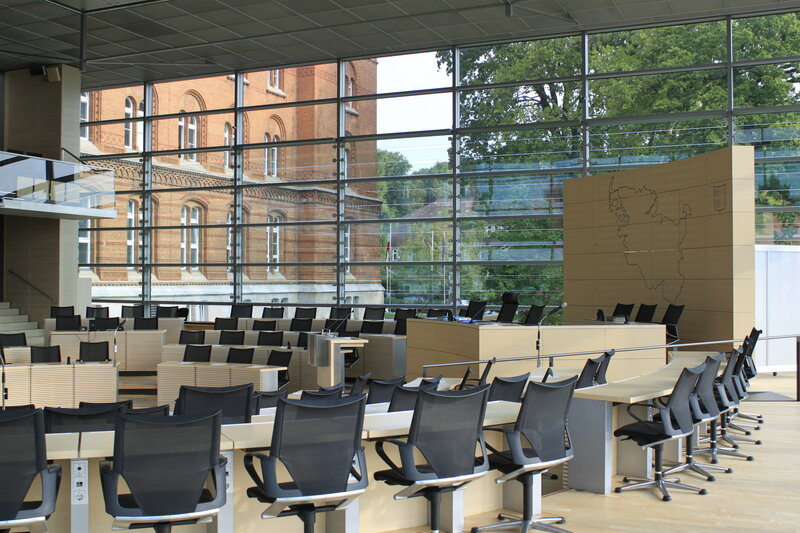 Twelve transmission systems, including ten handheld transmitters and two beltpack transmitters, are intended for the assembly hall; other TG 1000 systems will be used in the conference hall, the Schleswig-Holstein hall, the visitor area and the outdoor facilities, as well as in mobile applications. After an expert selection process, TG V56w electret condenser capsules with cardioid characteristics were chosen for the handheld transmitters. there is no chance of incorrect operation negatively affecting the sound.